2. 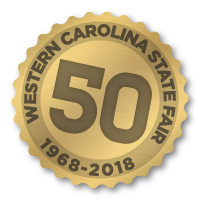 All rabbits must be on the Western Carolina State Fair Grounds no later than 5:45pm. 3. Rabbit show will begin promptly at 6:30pm. 4. Exhibitors must bring their own cages, feed, and water containers for their rabbits. 5. All exhibitors must pay a $5.00 entry fee per participant. 6. Each exhibitor will receive one gate admission ticket for themselves, and one extra. Additional tickets may be purchased in advance on the entry form for $6 or on the day of the show for $8. 7. The registration forms must be postmarked by Monday, October 15th and mailed to the Aiken County Clemson Extension Office. Any forms postmarked after October 15th will have a $25 late fee added.